Fun, laughter, oohs and aahs, are our measurement of success. Billed as a theme park for the 21st century, this brilliant mix of myth, technology, fantasy, and fiction centers around five very unique islands where theming, special effects and storytelling are unmatched. Working with a dream team of talented designers, writers, and model builders, Esparza was executive in charge of the design team that joined forces with Universal’s management leaders to create the original concept and vision plan for the park. This Las Vegas landmark simulating ancient Roman streets has no visual equal in the world. More than 100 stores comprise a retail destination rivaled only by Via Condotti, Rodeo Drive, or Madison Avenue. 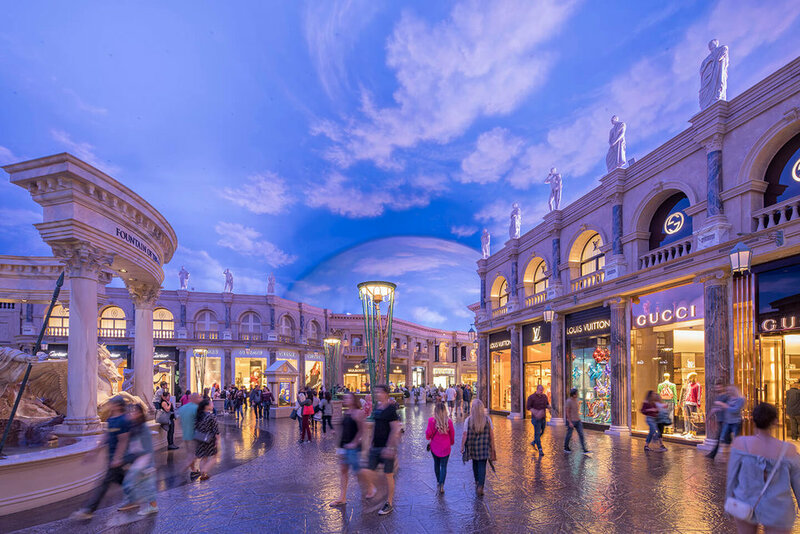 Where else can you shop among exquisite surroundings, including Roman fountains, statues, and dazzling façade? Anthony Esparza worked closely with the executive team at Caesars Palace to envision a new master plan for the hotel, the TEA Thea Award-honored Caesars Magical Empire immersive dining experience, as well as this ground-breaking shopping environment. This concept was launched in partnership with developer, Sheldon Gordon. Esparza produced one of the themed entertainment industry’s most innovative attractions ever. This TEA Thea award winner is the forerunner of many next generation immersive attractions. This $70 million attraction included a 330-seat restaurant and one of the most successful retail stores in Las Vegas. 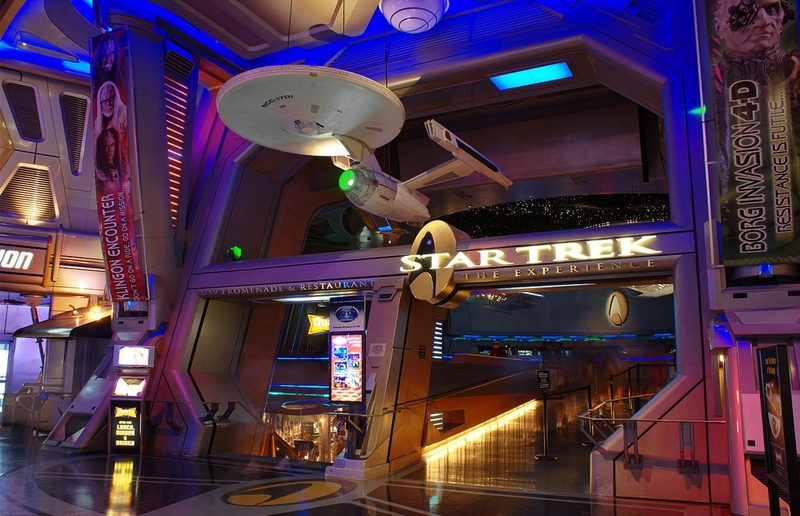 It allowed fans to live the experience of beaming aboard the Starship Enterprise, battle with Klingons, and escape (through a space flight) at warp speed to space station Deep Space Nine. As Chief Creative Officer at SeaWorld Parks & Entertainment, Esparza and his in-house development team, Deep Blue Creative, envisioned several years of new entertainment and attractions. Attendance-generating, marketable attractions ranging from the new Orca Encounter killer whale experience, VIP animal experiences, a slate of new annual events, and purpose-driven rollercoaster brands, all set the foundation for SeaWorld Parks & Entertainment’s recent financial turn-around. 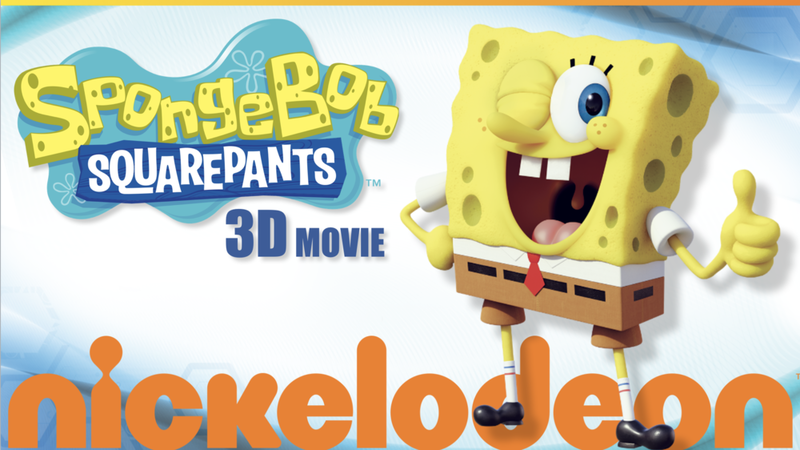 SpongeBob and all related elements © &™ Nickelodeon. All rights reserved. Esparza’s team planned Nickelodeon’s expansion into theme parks, live shows, and shopping experiences across all Paramount Parks. The fun extended for a decade of award-winning theme park lands and attractions leading to the company’s expansion into stand-alone theme parks and resorts. Esparza conceived the TEA Thea award-winning Flying Supersaturator Ride, and was Executive Producer of the computer animated film, SpongeBob Squarepants 3D. The oceans have a new voice for the future. Philippe Cousteau, the grandson of famous explorer Jacques Cousteau, has joined forces with Esparza HQ to create a new vision for sustainable projects throughout the world. The creation of the BLUE PLATFORM, a framework for Advisory services, Destination Consulting, Media Development, and Global Partnerships is the foundation for nextgen ocean-centered projects of the future. The vision? To partner with location-based businesses in creating world-class destinations and experiences that can inspire guests to explore, enjoy and care for the beautiful wonders of our planet. Dolly Parton’s newest front porch – Dollywood’s DreamMore Resort and Spa™ was built around the rich traditions of storytelling, family, and togetherness in the Smoky Mountains, just minutes from Dollywood’s award-winning theme parks. This beautiful hotel in Pigeon Forge, Tennessee, upholds the spirit of the South in a fresh new way, as it can only be imagined by Dolly. Esparza was Creative Director of the guest experience and responsible for the talented team overseeing design and construction. Snow Mountain: It’s snowing in Atlanta! Innovation was key with this invention of America’s first outdoor snow park. With football fields of man-made snow for tubing and play activities, this winter wonderland created a whole new revenue stream during the traditionally slow winter period. Inaugurated as a special event experiment, Snow Mountain is now a 10-year-old Atlanta tradition and destination for families seeking an experience they can share together. Esparza created the concept and envisioned a new industry business model bringing outdoor, large-scale snow to warm-weather environments. Sesame Street and all related elements © &™ Sesame Workshop. All rights reserved. Sesame Street land will open at SeaWorld Orlando in Spring 2019, the 50th anniversary of the venerable family brand. The new area will allow guests to walk down Sesame Street for the first time and feature many familiar details, like Mr. Hooper's store, Big Bird's nest and the famous 123 stoop. Sesame character friends such as Big Bird, Elmo, and Cookie Monster will be on-hand to inspire curiosity and wonder with kids. Esparza and Business Development Officer, Matt Rearden, re-invigorated the relationship with the Sesame Workshop team leading to a new ground-breaking agreement that expands Sesame experiences and entertainment across all SeaWorld and Busch Gardens parks. Rudolph the Red-Nosed Reindeer and all related elements © &™ Character Arts, LLC. All rights reserved. Evergreen brands that are known worldwide are unique and rare. 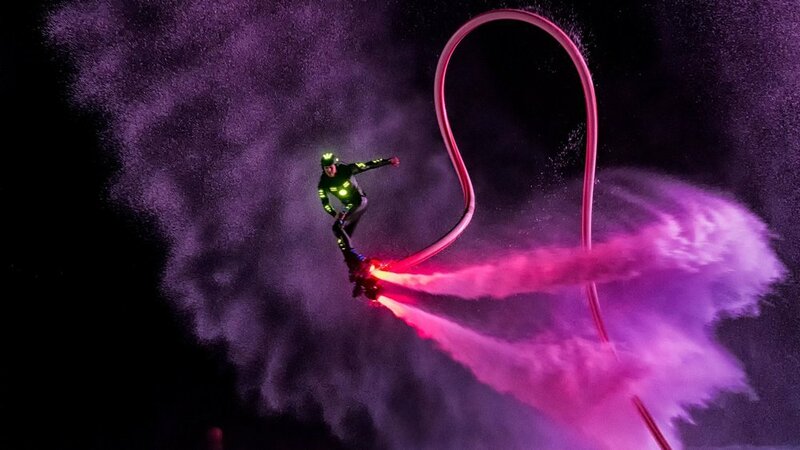 Magic happens when matched with heart-warming attractions, spectacular live entertainment and parades, and appealing product concepts. Esparza led the multi-year business planning, brand communications, and creative effort to roll-out the Christmastime wonder of Rudolph the Red-Nosed Reindeer™and friends across all SeaWorld Parks & Entertainment and Herschend Family Entertainment theme parks. Special thanks to brand holder, Character Arts, LLC for their partnership and support. This $600 million indoor theme park and entertainment center in Tokyo was developed to celebrate the fun and charm of Hello Kitty and her character friends created by the Sanrio Company. The project also included the development of a new set of characters to serve as a story platform for restaurant and retail areas. Esparza created millions of smiles across Japan as master planner and creative director of many of the park’s attractions. Harlem Globetrotters and all related elements © &™ Herschend Enterprises. All rights reserved. A complement to Herschend Family Entertainment’s portfolio of businesses, this acquisition marked an expansion for the company into new media, audiences and markets. The Globetrotters brought HFE a hugely popular and relevant brand that has seen a resurgence in the past five years, growing from a live event touring company into a full-fledged global entertainment brand. The Globetrotters perform over 400 live events worldwide annually, reaching over three million fans in more than 30 countries. Esparza was a key participant in the acquisition process as well as in the repositioning of the brand and its show content. MTV and all related elements © &™ Viacom. All rights reserved. Special events are the drivers of incremental revenue for many brands and location-based properties. Translating brands into experiences that are true to a brand’s promise can be difficult. Esparza understands the balance between brand expectations and a real budget. 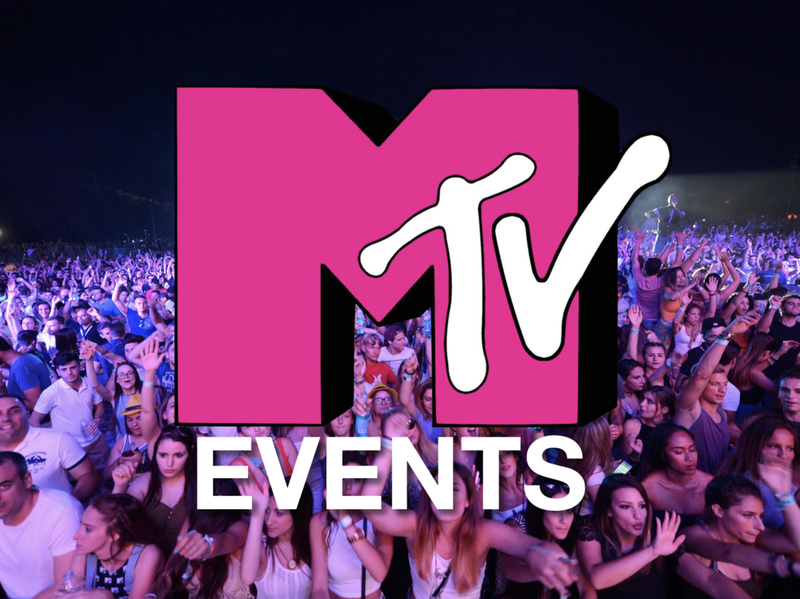 MTV: The Grind events were a prime example. These outdoor, DJ’d music events for up to 7,000 guests brought the MTV attitude to fans across the U.S. The challenge: How to bring family ride experiences into a theme park that traditionally caters to an older demographic. Broadening the core visitor complexion was important to park growth. New land areas designed around strong story themes was the approach taken by Esparza and his team at Herschend Family Entertainment. A close partnership between park leaders (and owners) was key to these successful additions. Purpose-driven design details led to appreciation from mom’s and dad’s, and community organizations throughout the region. When the sun goes down, the night comes to life at SeaWorld’s Electric Ocean spectacular. Exotic worlds of light and electronic dance music filled the park with glowing sea creatures, electronic dance music, and a spectacular display of fireworks. Esparza was responsible for entertainment and event programming throughout the 12 park system. This innovative event created to extend a guest’s length of stay within the park started a new annual tradition, built up the SeaWorld brand, and produced new revenue streams. A government compound has been hiding a UFO all along. It’s been a secret until something goes terribly wrong. Guests are abducted and launched by linear induction motors from 0 to 60 mph in 4 seconds on this indoor rollercoaster experience. Telling a classic story is Esparza’s signature. As the first-ever magnetically launched coaster in the industry, this innovation in ride hardware was the perfect vehicle to help tell this chilling tale. While with Paramount, Esparza championed new business growth into cruise line live entertainment and technical services for up to 19 ships in all oceans of the world for Royal Caribbean International, Renaissance Cruise Lines, Norwegian Cruise Line, Spirit Cruises, and the famous QE2. Initially focused on technical installation, the business grew to provide world-class production shows, onboard guest experiences, and cruise director team staffing. From the moment guests step onto the shady wrap-around porch of this cheerful yellow farmhouse, they feel the welcoming hospitality of Silver Dollar City. Esparza and the Herschend Creative Studio design team created this untraditional theme park experience to showcase the works of the park’s artisans and introduce a new primary craft to the park. A line-up of classes covering everything from seasonal dinner recipes, delectable desserts, and holiday favorites allowed students to enjoy regional and international tastes in an intimate setting. Lost tombs. Hidden passages. Cursed treasures - - all in this underground Cambodian ride experience based on the motion picture franchise starring Angelina Jolie. The thrills of this clever indoor ride hung guests upside down over erupting pits of lava, shoved them within inches against pointed shards of ice, and spun them within the laser vision of a five-story-tall cursed statue. It’s all for fun in this TEA Thea award-winning attraction directed by Esparza and the Paramount Parks design team. Having conceptualized and supervised the development of over 50 rollercoasters, Esparza’s expertise in creating story-driven ride brands is unmatched. Identifying new coaster technology and pushing for more is half the work. What makes his projects unique is the careful selection of over-the-top marketing hooks blended with a compelling story to create the next blockbuster thrill experience. His credits include both well-known and record-breaking innovations including: Top Gun: The Jet Coaster, Stealth: The First Flying Coaster, Outer Limits: Flight of Fear, Volcano: The Blast Coaster, Wavebreaker: The Rescue Coaster, Nickelodeon’s Flying Supersaturator, Mystery Mine, Thunderhead, Lightning Rod, Mako, Outlaw Run, and many more. Don’t go in, you won’t come out! Eery, mysterious, and oh so fun. When completed, this signature thrill ride attraction at Dollywood theme park became an instant icon. As part of a new master plan to grow the park and broaden its appeal, the success of Mystery Mine thrust the business forward increasing revenues and notoriety. 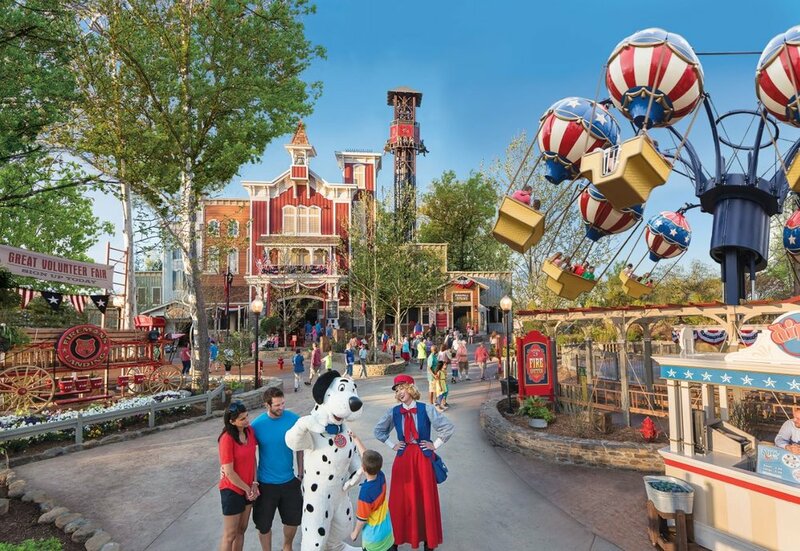 Esparza provided creative vision for Dollywood attractions and master plans for over a decade helping the park become the center of America’s vacation destination.